Lately I have been spending most of my studio time working on a new series that I hope to begin sharing in the very near future. While working on this new series I have also done several more small pieces. This portrait study was done for fun while experimenting with some new ideas. Here are two new skull pieces as well. Both are 8×10″. 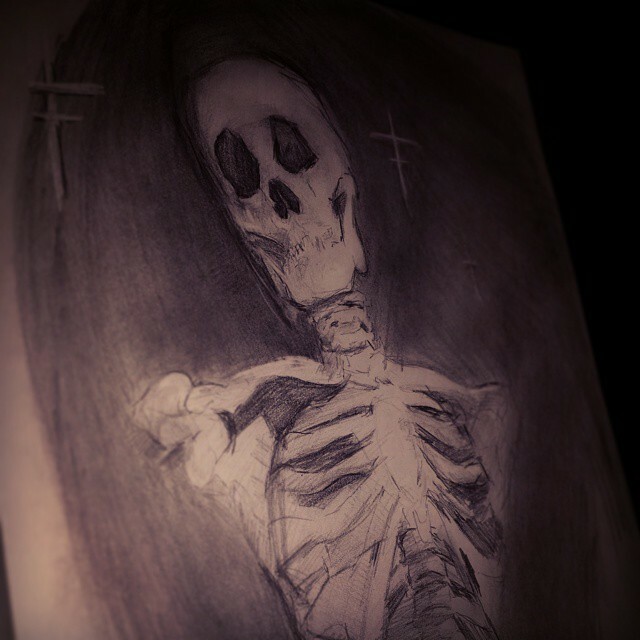 More of a natural study, the first was done in normal daylight. 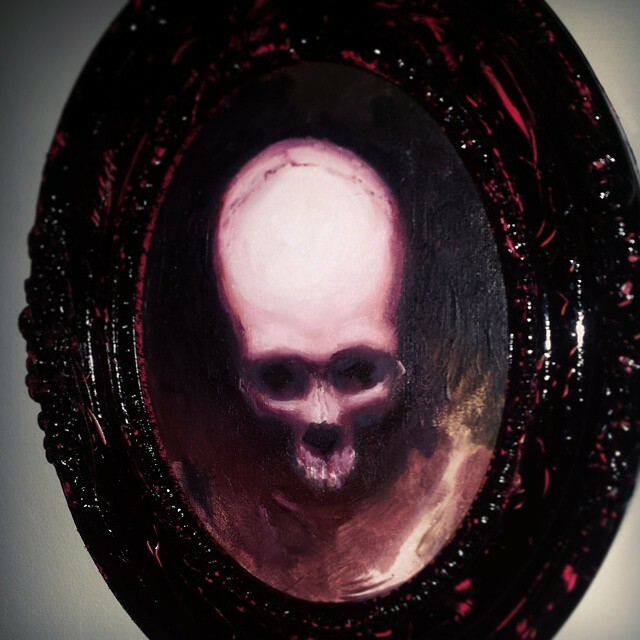 I wanted to paint the piece as it appeared by the light of the window. The morning daylight out so many unexpected beautiful hues. It was a pleasure to be able to capture the impression in the early morning. Well, early for me anyway. 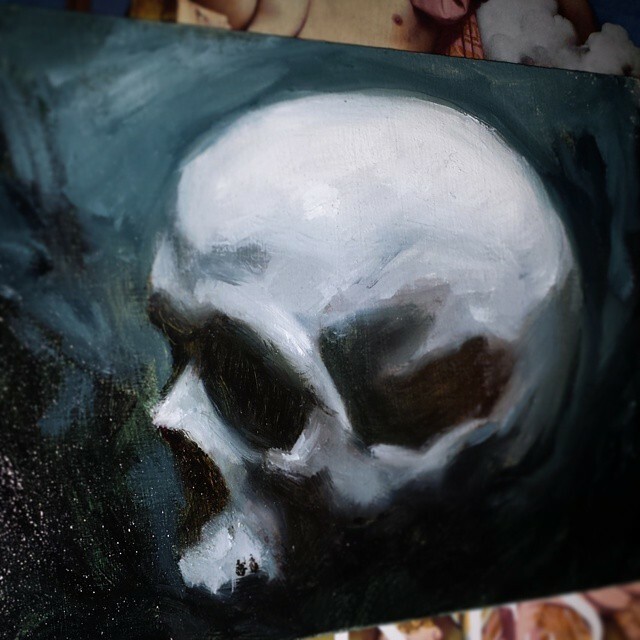 This blue skull began with the acidic reds and I wanted to use a strong blue to conceal some of, but not all the reds beneath. The thick strokes of cools and alizarin add even more vibrancy. Next time I hope to share some progress on a new series of pieces I have started. Progress shots of St Sassafrass painting. 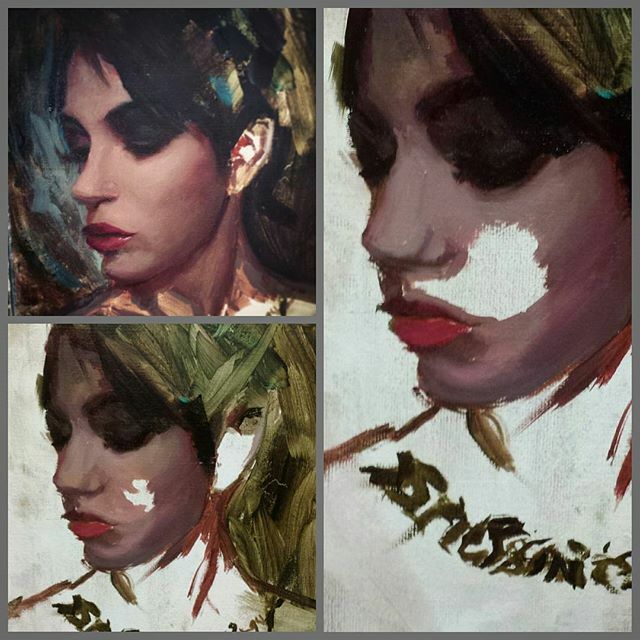 Progress shots of a painting of St. Sassafras . 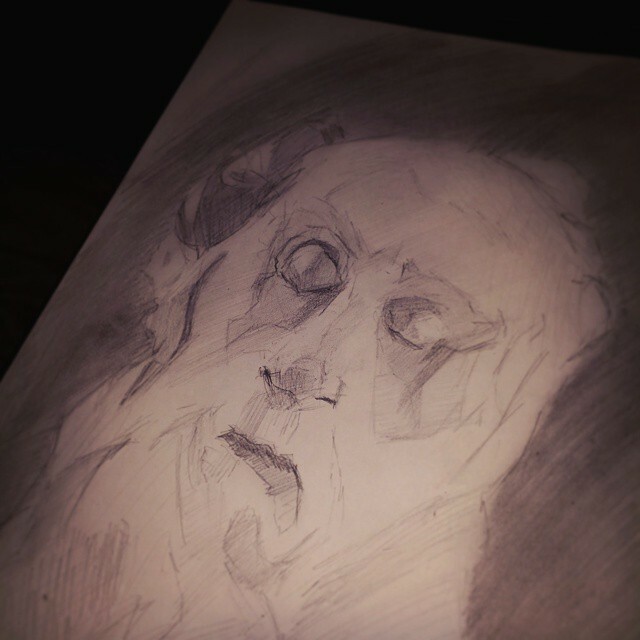 Last page of a sketchbook after Bernini. 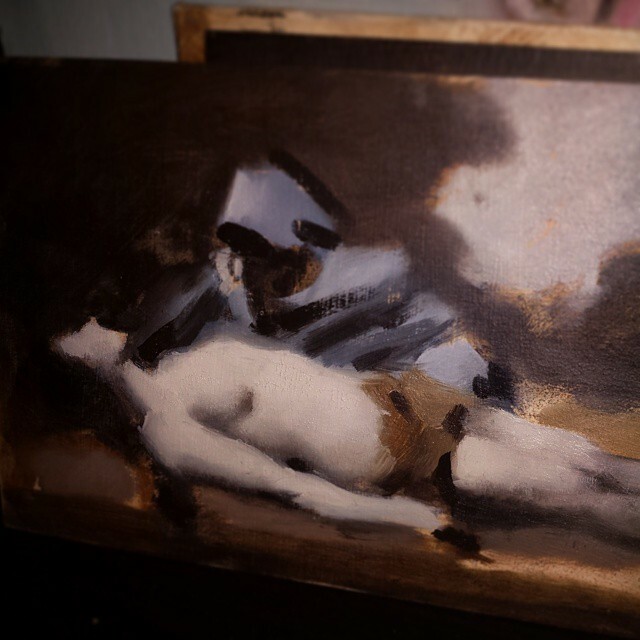 Small study I did of a favorite painter, Jean-Jacques Henner (1829 –1905). 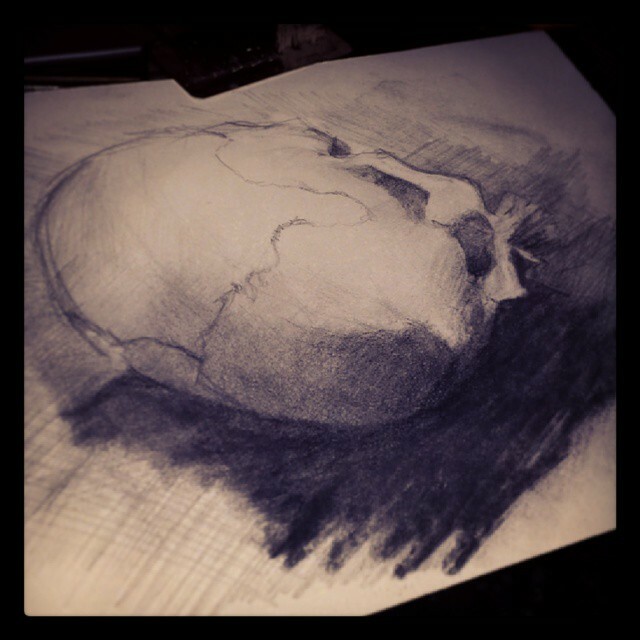 A new skull study, I’ve been working on a few new larger pieces that I’ll show on here as they are finished. Lot’s in store this year! Looking forward to sharing it here with you! 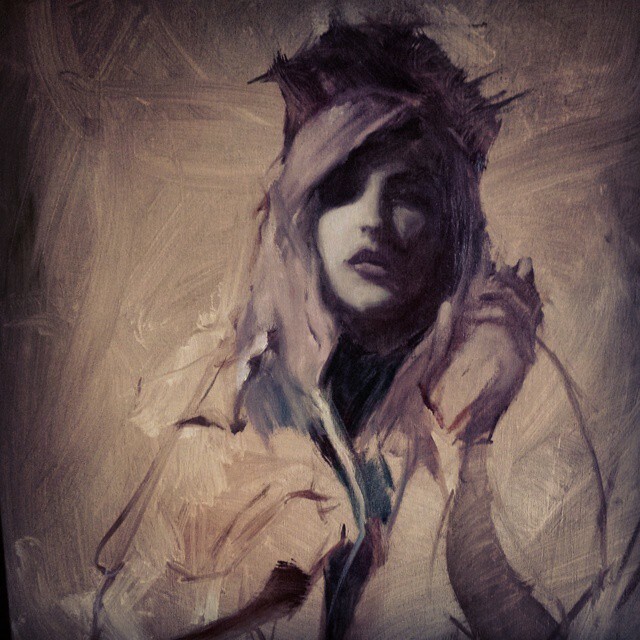 A new piece I’m working on in the studio of Mikaila von Merr. Past work in the collection of Dr. P Sommer.